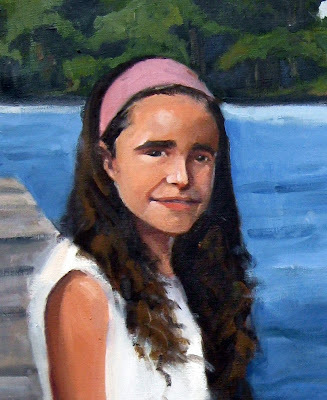 Studio of Michael Regina: New Portrait Up - "Claire"
This past week I handed over my most recent portrait to my patron clients, the Trammell family. This is the second portrait I've done for the family. The first was of their oldest daughter, Emmie. 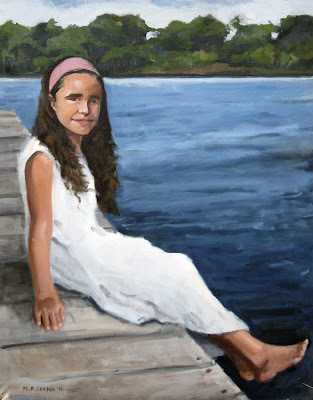 I was really pleased that at that time they said they wanted me to do another portrait for them in a few years once their youngest daughter was a bit older. Well, those years are past and we finally got around to creating our portrait. It was a real pleasure to complete this. It was a challenging piece, but I was really happy with it all. Thanks again, guys for letting do this for your family. I hope we all see each other again soon!